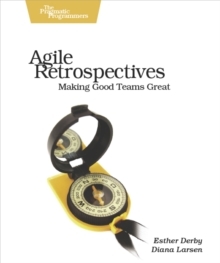 A radical approach to getting IT projects done faster and cheaper than anyone thinks possible Software in 30 Days summarizes the Agile and Scrum software development method, which allows creation of game-changing software, in just 30 days. 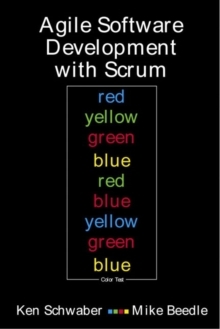 Projects that use it are three times more successful than those that don't. 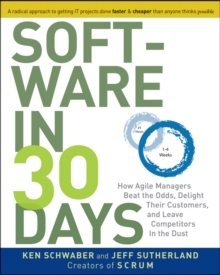 Software in 30 Days is for the business manager, the entrepreneur, the product development manager, or IT manager who wants to develop software better and faster than they now believe possible. Learn how this unorthodox process works, how to get started, and how to succeed. Control risk, manage projects, and have your people succeed with simple but profound shifts in the thinking. The authors explain powerful concepts such as the art of the possible, bottom-up intelligence, and why it's good to fail early all with no risk greater than thirty days. 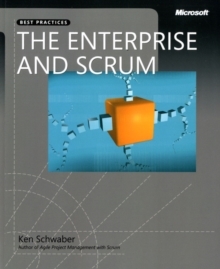 * The productivity gain vs traditional "waterfall" methods has been over 100% on many projects * Author Ken Schwaber is a co-founder of the Agile software movement, and co-creator, with Jeff Sutherland, of the "Scrum" technique for building software in 30 days * Coauthor Jeff Sutherland was cosigner of the Agile Manifesto, which marked the start of the Agile movement Software in 30 Days is a must-read for all managers and business owners who use software in their organizations or in their products and want to stop the cycle of slow, expensive software development. 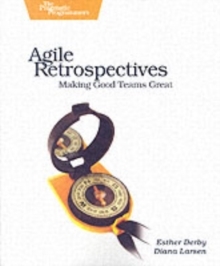 Programmers will want to buy copies for their managers and their customers so they will know how to collaborate to get the best work possible.